OBSERVER Photo by Mary Heyl New Cassadaga Zoning Board of Appeals member Bill Dorman, who serves as an alternate, questions the recent vote that denied the Red House owners a variance that would allow them to operate their business on Frisbee Road. CASSADAGA — Owners of the Red House will have to wait a while longer before finding out if they can resume normal business operations. At last week’s meeting of the Cassadaga Village Board, the zoning issue of Frisbee Road was discussed, but no action was taken by the board regarding the denied change of use variance for the popular wedding and event venue. Mayor Mary Jo Bauer called the meeting to order promptly at 7 p.m., and opened the floor to the public. Bauer explained that each individual would have five minutes to speak and that new items on the agenda, while listed, may not be discussed in depth during the meeting. Steve and Nancy Wickmark, owners of the Red House, were in attendance. “We’re just here to see if there’s been any progress,” said Steve Wickmark. “Great, thank you. It’s good to see you,” Bauer replied, before moving on to the next individual. Bill Dorman, who was appointed as an alternate, inquired about the ZBA’s recent vote, which denied a variance to the Wickmark’s to operate their business on the residential road. Dorman was not appointed to the ZBA until after the vote took place. Of the four ZBA members who were present at that meeting, two voted in favor of the variance, and two voted against it. “So it was a tie, but why does that go one way and not the other? I didn’t see anything in the zoning rules,” Dorman said. Trustee Cynthia Flaherty offered Dorman her ‘Robert’s Rules of Order’ “cheat sheet” and pointed out that, like the July 5 meeting which only had four members present, there must be a majority vote of three for anything to be approved. 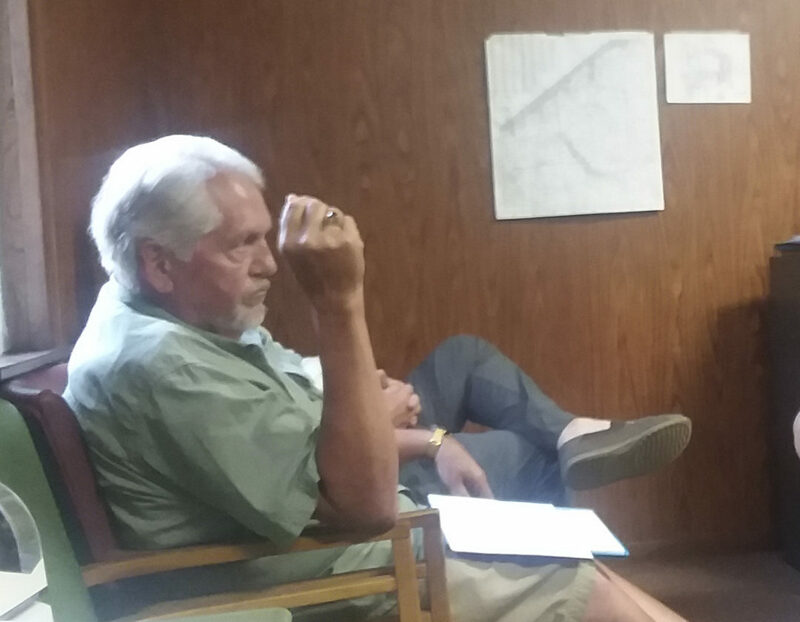 Bauer explained that the zoning issue would be discussed further at the next village board meeting on July 18, when the village’s attorney, Bill Duncanson, would also be present. In order for the village board to change the zoning law, the board must introduce the proposed zoning changes at a public hearing before meeting again to put it to a vote.